Me too. But Jesus said, "Come to me, all you who are struggling hard and carrying heavy loads, and I will give you rest." (Matthew 11:28 CEB). 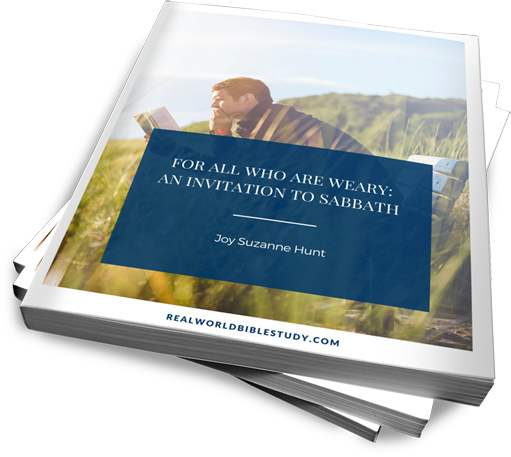 This FREE 13 page e-book covers goes DEEP on Sabbath - one of God's gifts of REST for us! - in the Old Testament, in the New Testament, and as a spiritual discipline for your life today. Yes, I want the free e-book and the Real World Bible Study Newsletter! Click the link below to download your free e-book.